Review: Diamondback Mission 1 MTB in 2019 - Is that Good? 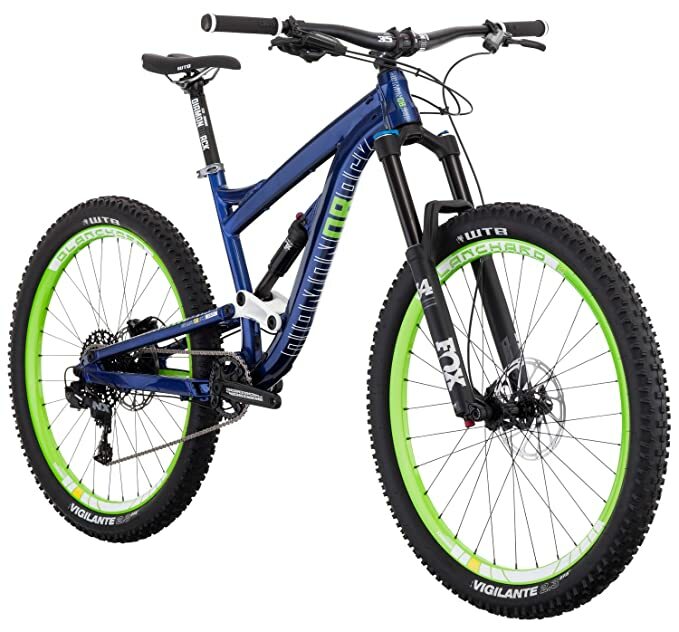 Diamondback Mission 1 Review in 2019 – Is that Good for Trail Ride? Cons No kickstand, Little bit pricey. Summary Great full suspension bike for mid level to pro rider. Are you in search of a bike that has incredible suspension features for comfortable downhill riding? The Diamondback Mission 1 comes fully equipped with a fantastic suspension system, gear options, braking mechanism, and comfortable geometry. All of these features come together to create a bike that’s awesome for off-roading. Check out our detailed review below to discover what this bike can offer you. Why Should You Buy & Suggested Sizing? The Mission 1 was manufactured for people who love to cycle across mountainous terrain. The number of gear options available provides you with the ability to ride up and down steep hills with minimal effort. If you’re looking to ride on bumpy terrain with supreme smoothness, you’ll be very impressed with the suspension system that has been fitted to the Mission 1. In that case the DB mission 1 is not disappoint us. Its made by high-quality 6061-T6 aluminium frame which is able to withstand all mountain tracks smoothly with effective suspension system. Aluminum makes the bike frame super strong & light weight. The suspension system that DB has implemented into the Mission 1 bike impressed us. This bike has been created with a fantastic KnuckleBox suspension system. There is also a sturdy thru-axle built-in that ensures that suspension is provided with plenty of support to function to its full potential. This unique suspension system is remarkably effective at dealing with bumpy terrain. Therefore, you can be sure to ride across rough terrain with complete smoothness. We found this feature improves the riding experience as it leaves you a lot less fatigued. They have implemented Shimano parts when it comes to the gear mechanism too. 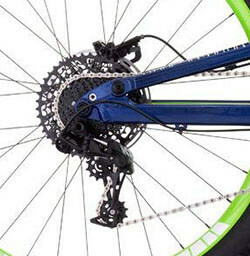 The SRAM X7 drivetrain provides you with a total of 11 gears. Therefore, you can be sure to ride across all kinds of hilly terrains and feel confident in knowing that you have the right gear selection to make the ride feel effortless. Moreover, when it comes to shifting gears, you’ll notice that it’s incredibly smooth. As a result, you can be sure to shift through the gears quickly and with precision. Having numerous gears to select from while riding in mountainous environments is crucial as the terrain is often changing on a constant basis. This bike allows you to keep up with it for a more enjoyable riding experience. How well does the fork keep up with the rest of the bike? 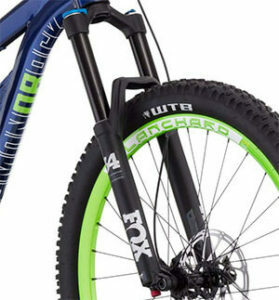 We were glad to find that this bike features with 160mm of travel suspension fork. This works in combination with the fantastic suspension system to diminish any of the bumps on surfaces. 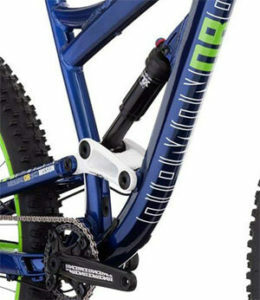 The fork is of a very high standard and enhances the overall enjoyment of riding this bike. Does the handlebar add or detract from the riding experience? A lot of the time, the handlebar can be a tricky part of bikes to get right. This is largely because each person has their individual preferences as to how they’d prefer the handlebar to be. In this case, the handlebar has a wide design and short stem. We found this to be especially beneficial for people who are riding across challenging terrain and trails. This is because it provides you with an incredible amount of control for more precise cornering. Moreover, they ensure that you are always given plenty of support while holding onto the handlebar. As a result, you don’t have to put so much effort into trying to keep a tight grip in fear of your hands being knocked off. 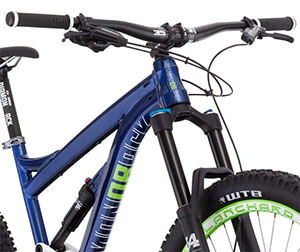 When it comes to mountain bikes, the design of the dropper post is an essential feature. It allows you to change the saddle height to the perfect position that feels comfortable for you. This adjustable dropper post enables you to have the option to set different positions that are more suitable for different riding experiences. For example, people who are looking to do trail riding will find that setting the seat a little lower will put them in the best position for riding faster. Whereas if you’re looking to ride for longer distances at a slower pace, you can set the seat slightly higher to keep your body upright. This is more comfortable for endurance-style riding. The Mission 1 bike is comes with SRAM NX Shifter to change 11 speeds smoothly. Its a trigger shifter so you don’t have to be tricky to control your speed. Just use your finger to change the speed in no time. As long as you have 11 speeds to change the speed, you also need effective brake to stop this bike. The Mission 1 bike equipped with SRAM Level T hydraulic disc brakes to stop the bike in a halt when you ride in downhill or wet surfaces. So with this powerful braking system you can be relaxed about speed & brakes. Some people have been disappointed to find that there’s no kickstand available. It would have been nice to see one or two water bottle holders attached to the bike. Question: Who is this bike primarily made for? Question: How much does the bike weigh? Answer: The Mission 1 weighs a total of 31 lbs. Question: Are there any accessories included with the purchase? Answer: Yes! They include WTB tubeless valves, a Knuckle Box shock, pump, manual, rim tape that’s tubeless, and a chain-stay protector. Question: Does this bike come with any grips fitted? Answer: Absolutely. They include DB4L lock on Kraton grips to improve your riding comfort. 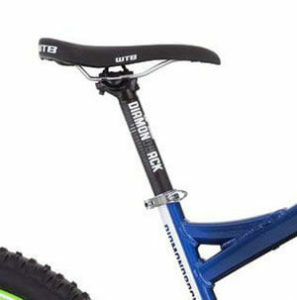 Diamondback delivers this bike in an almost fully-assembled state. To be more specific, it is approximately 95% assembled. Therefore, you should be ready to put some parts of the bike together for yourself. So, how long does this take? Well, this will vary for different people. Those with less experience with putting bikes together could be spending around two hours. Whereas those with more experience could have it up and running within 30 minutes. If you don’t feel like putting the bike together yourself, you can simply take it to a bike shop, and they’ll assemble it for you. Having said that, since this bike is 95% assembled, it’s unlikely that you’ll need to go through that hassle. There are excellent instructions included which are easy to follow. Furthermore, doing it yourself will save you the extra cost of getting it done at a shop. While it’s among the higher price range, you can be sure that you’re paying for a premium quality mountain bike. Be sure to use all the information that we’ve provided about the Diamondback Mission 1 above to help you decide whether it’s the best choice for you. Hi, I am Zach who is behind Bikefeatures.com. I have vast experience about Bicycles as previously I have worked in a bike shop near to my home in Pittsburgh, PA. From there I have learnt lot of things about bicycles which is very important for a beginner bike to know before landing the first bike. I hope my articles about different bike reviews will help you to selecting the first bike. Happy Pedaling! BikeFeatures.com is a website built by Zachary Anderson in 2018 for all bike enthusiasts (Specially Mountain & Road Bikes). If you’d like to learn more about Zachary, click here.